Welcome back to our monthly blog series, Check Up with Blum! 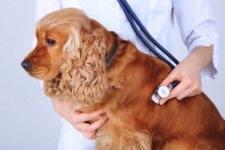 Each month, we are discussing a topic about canine health that affects your Chicago pet! 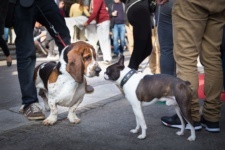 Join us this month as we cover a new topic with one of Blum Animal Hospital’s senior associates, Dr. Sarah Baker, and learn about how you can help keep your best friend healthy and happy in the big city! 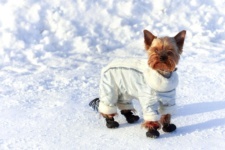 This month, we are talking about how to keep your dog’s paws safe on the cold, snowy streets of Chicago! Whether your pup loves the chilly weather or would rather snuggle inside, heading out into the icy outdoors is inevitable when it’s time for a potty break. 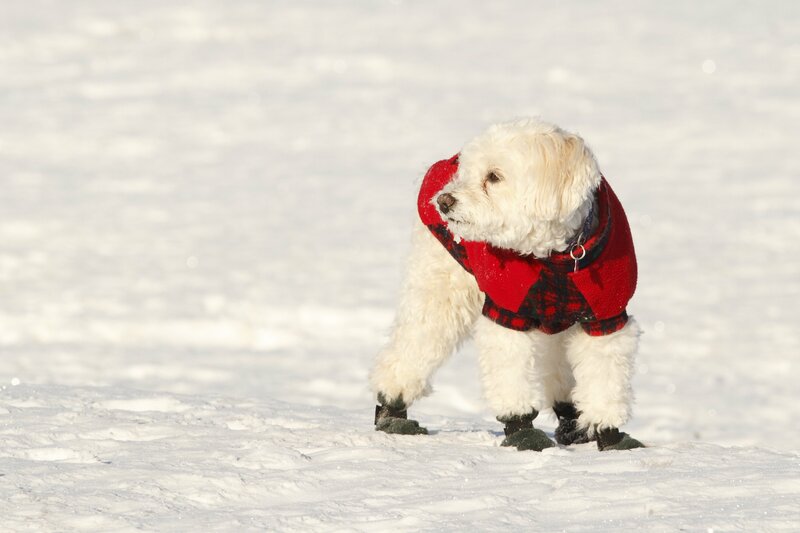 Let’s learn how to make sure your pup’s sensitive paw pads stay safe in the icy conditions this winter! First, let’s talk more about a dog’s paws. How durable are they, and when is it important to make sure that their paw pads have protection when walking outside? According to Dr. Baker, a dog’s paw pads are “physiologically durable by a counter-current heat exchange to prevent heat loss.” However, most of our dogs here in Chicago enjoy the comfort of indoor city living and are not working sled dogs, so you should make efforts to protect their paws from the cold when outside. It is important to make sure their paw pads have protection in temperatures below 40 degrees, and especially when it dips below freezing. Is there anything in particular about Chicago and its streets and sidewalks that is important to keep in mind when considering protection for your dog’s paws? Important factors to keep in mind are temperature and salt application to sidewalks and streets. Below freezing temperatures and the windchill factor are particularly dangerous when dogs are outside for extended periods of time and can sometimes lead to frostbite. Salt on the sidewalks can cause discomfort for your pup, so it is important to keep their feet protected from the elements. 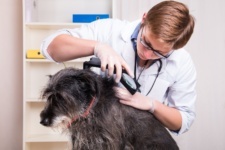 Do you see dogs come into your veterinary facility with paw injuries in the winter? If so, what kind of injuries are those? What are some signs that your dog has a paw pad injury, and what should you do if they do sustain such an injury? Notable signs of a paw pad injury, as described by Dr. Baker, include limping, bleeding, and a dog refusing to bear weight on one or multiple limbs. 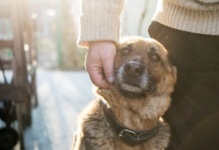 Some dogs will cry out in pain, whereas others may not alert their owner at all. Be sure to check your dog’s paws, pads, and nail beds for any changes. Call your veterinarian if you notice anything visibly abnormal with your pup’s paw! If your pooch does have a paw injury, your veterinarian can help determine if your dog should be evaluated in the clinic after an initial phone call. Treatment options can range from minor wound repair and bandages up to major surgery with post-operative pain management and antibiotic therapy. To determine how serious an injury may be, you definitely need a professional opinion! Are there any products you recommend for protecting a dog’s paws, and how would you determine which ones are the best for your particular pup? Dr. Baker wants to emphasize that paw protection is not just a fashion statement in the winter time! 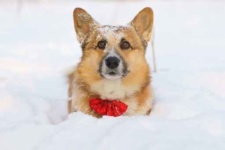 It can help your pet stay comfortable outside for longer periods of time, avoid frostbite, and protect from salt. Any of the protection that your dog can tolerate is better than none. Some of our recommended options are Musher’s Secret, dermoscent balm, balloon booties, and Velcro booties. The best product for your dog is the one that makes he or she is most comfortable. You can help acclimate your dog to their footwear by using positive reinforcement when training them to be put on and worn outside. If your dog isn’t tolerating footwear at first, Dr. Baker suggests making it a positive experience by having a high reward treat (like peanut butter, hot dogs, or whatever their preferred food may be!) or their favorite toy involved in the process. The last bit of guidance that Dr. Baker would like to offer is to always check the temperature before planning a trip outside, and if you have specific concerns, never hesitate to reach out to your veterinarian for advice! Thank you to Dr. Natalie Marks for inviting Dr. Sarah Baker at Blum Animal Hospital to be a guest contributor to Check Up with Blum this month! We are so appreciative of Dr. Baker for her insight into caring for your dog’s paws in a Chicago winter! We are grateful for the hard work of the Blum team in making sure that every Chicago pet has the best life possible! Windy City Paws is a Chicago dog walker and petsitter committed to providing helpful information to Chicago dog owners through its blog.